As I grew up, the scouting program in the United States served to give me a great deal of training in how to live out of doors. I could hike long distances carrying a heavy back pack. I learned to swim well and how to build shelter and live of of the land. It was a valuable skill set that would serve me well later in life when we began to serve as missionaries deep in the Amazon jungles of Colombia. I could live and survive for days and even weeks as I hiked from hut to hut and shared the Gospel. I also learned a lot about God in scouts from the God and Country award program. It was there I began attending church regularly and memorized many chapters and verses of the Bible. It was a good solid preparation. Here in Colombia I never had time to be in scouts as they met on Sundays and I was always busy at church. But last year, with one of the elders in the church of Villavo, who had also been in scouts, we started a scout troop at the church. 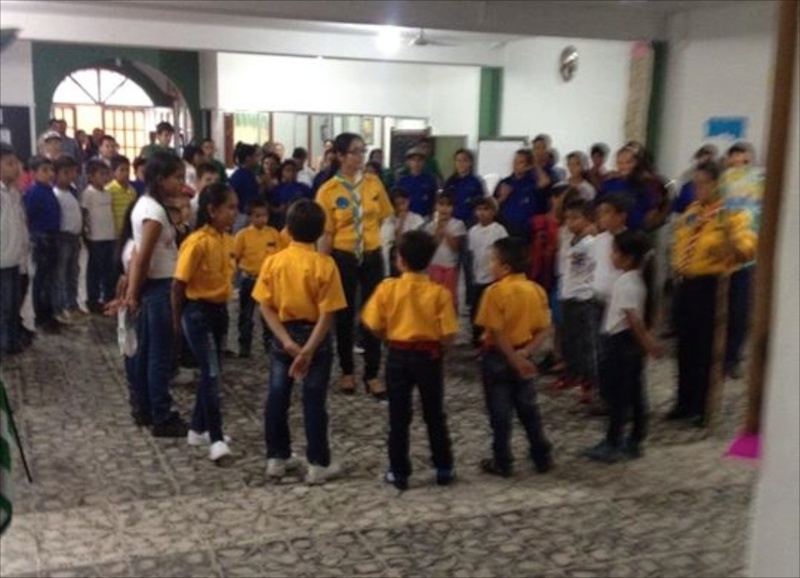 Using a model set up for Catholic and Mormon youth in the States, we set up a Christian scout troop here in Colombia. A kid does not have to be a member of the church and we do not discriminate if they are not Christians. But we hold to the values of our Christian faith and the values that characterized the scouts when I was young. We use this program as a way to build character and to develop leadership skills. The program has been so successful that we now have two troops in different sections of town. We have more than sixty young people involved in our program. As scouts did when I was a kid, we begin and end each meeting with a prayer. Since I returned to Colombia this January, I have been active in the scout troop here, attending meetings each Saturday in one of the troops. I have helped some of the kids in the poor section of town to buy their uniform and we have contributed to some of the organizational needs by providing funding. This is scouting as it was from its founding until very recently, when scouting in the US began to deviate from its founding principles. It works to help kids develops skill sets that will be useful later on in life. It helps underprivileged kids to develop a sense of self worth and leadership skills. It has been great to see the program reaching out to and helping kids in many very poor areas of our city. If you benefited from scouting as a young person, why not help a young person today have that same benefit and privilege? The church here has sponsored the two troops that we have and covers many of the costs. They provide a meeting place and our church camp has served as the camp site for our weekend camps. But there are other needs as many of the kids come from very poor families. They cannot afford their uniforms nor fees for the weekend camps. As missionaries we have stepped in to help with these expenses. You can share in providing the privilege of scouting by providing for a uniform or a weekend of camp for some of the scouts here in Colombia. Donate to the Colombian Christian Mission and designate your gift for the scouting program.